Over the last decade, the world has increasingly grappled with the complex linkages emerging between efforts to combat climate change and to protect human rights around the world. The Paris Climate Agreement adopted in December 2015 recognized the necessity for governments to take into consideration their human rights obligations when taking climate action. However, important gaps remain in understanding how human rights can be used in practice to develop and implement effective and equitable solutions to climate change at multiple levels of governance. 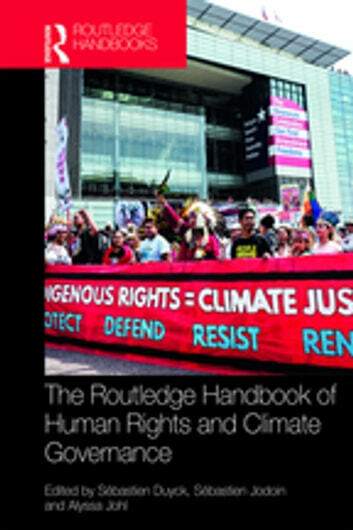 Featuring a diverse range of contributors and case studies, this Handbook will be an essential resource for students, scholars, practitioners and policy makers with an interest in climate law and governance, human rights and international environmental law. A Different Kind of State?